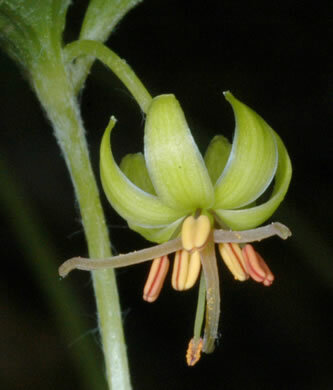 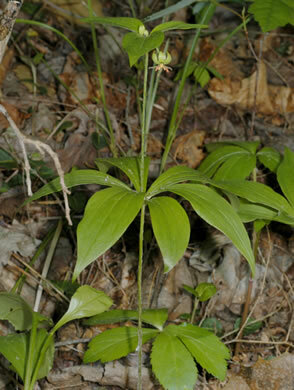 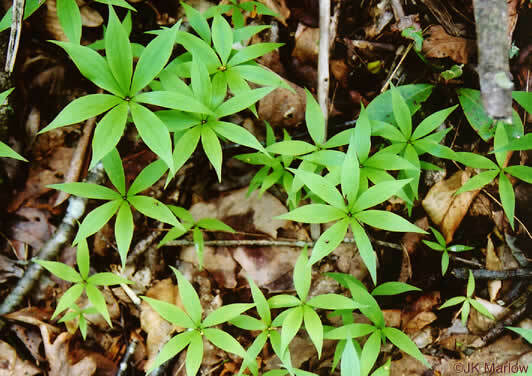 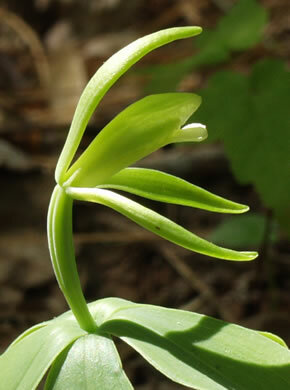 Your search found 7 image(s) of Large and Small Whorled Pogonia and Indian Cucumber-root. 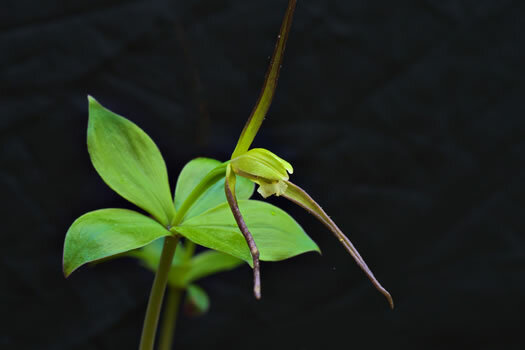 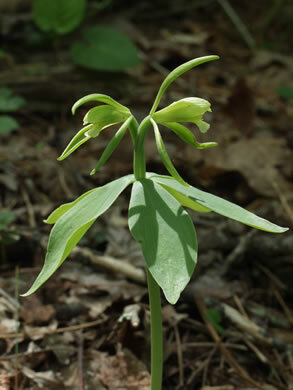 The bright green leaves tend to point upward when the plant is in flower, per Wild Orchids of South Carolina: A Popular Natural History. 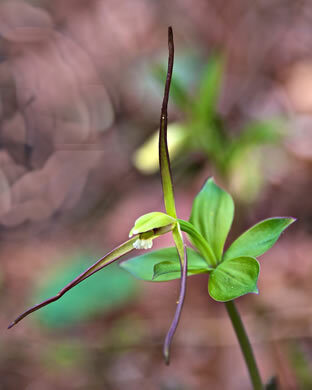 When in flower, the 5-6 light bluish-green leaves point downward, per Wild Orchids of South Carolina: A Popular Natural History.